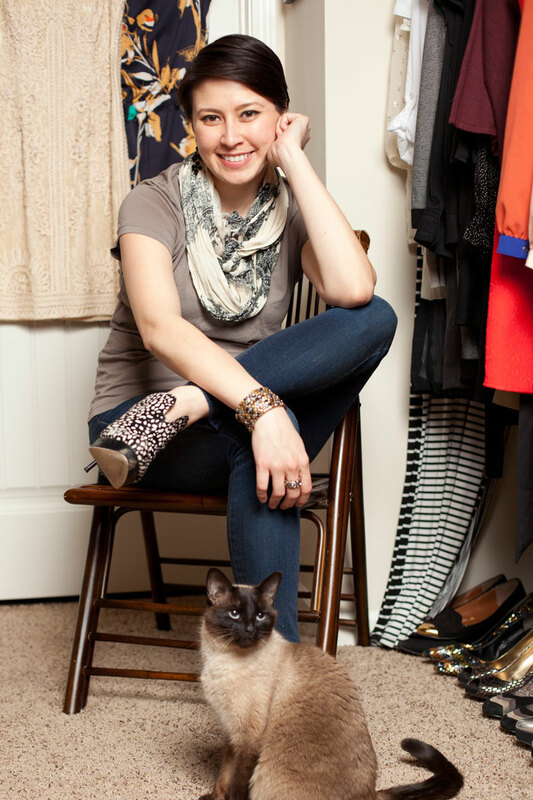 A few months ago, Tonya from Kansas City lifestyle publication 435 Magazine contacted me to see if I wanted to be the next subject for the magazine’s regular “Inside My Closet” feature. 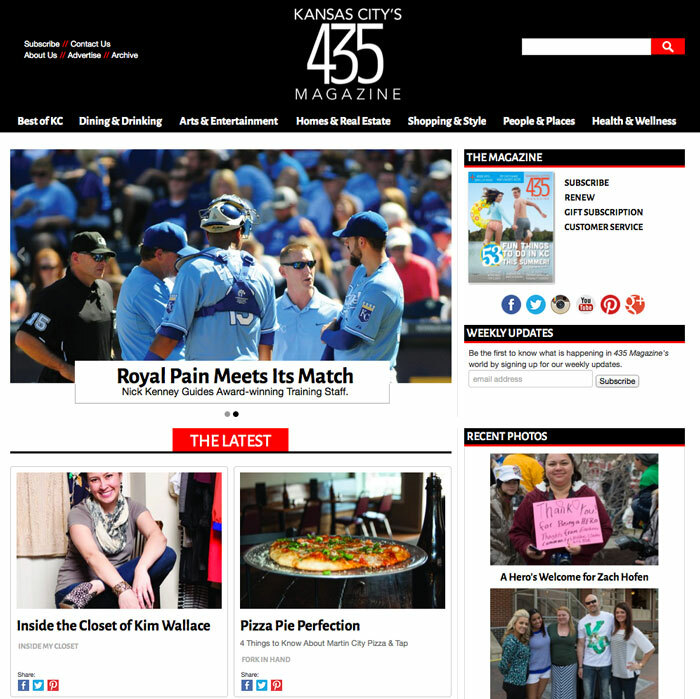 The May 2014 issue has been on newsstands around town for a few weeks, and now that 435 Magazine has relaunched its website (beautiful, by the way! ), the feature is online. Check out the online feature to read about my approach to fashion and style; my favorite places to shop; the top five beauty products everyone must have in their beauty arsenal; and why I love Kansas City. I did not invite Anya into my closet for the photo shoot, but she refused to leave. Can you believe this diva and her pose? This took absolutely no prompting. And then there’s shoes lining both walls of my closet — two rows on each side. 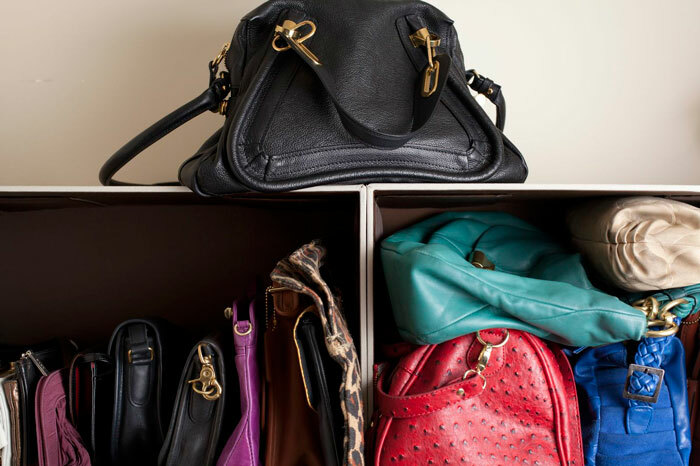 I keep my bags somewhat arranged at the top of my closet; clutches and crossbodies go on the left and bigger bags go on the right. I’m currently carrying my black Chloe Paraty bag; it was a big investment piece for me, and I absolutely love it. I arrange my closet by color. It just makes sense. Need a red top to go with that skirt? Go to the red section. Done. Besides arranging by color, I also arrange by clothing type. Dresses, shirts, tanks, skirts, pants, jeans and leggings all have their respective areas. 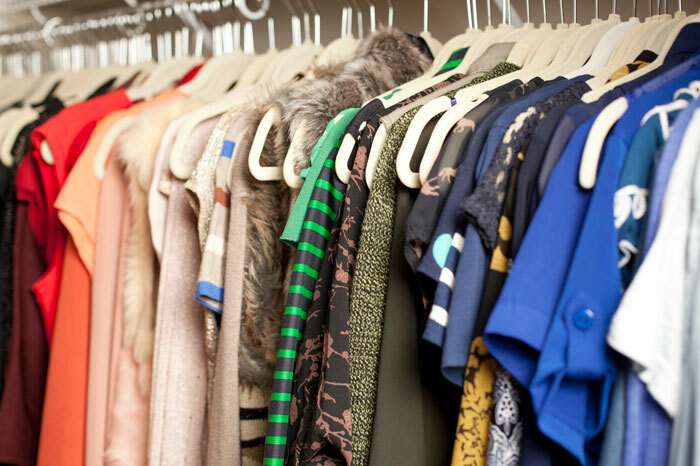 My closet is also a mix of local, department store and specialty finds. I purchased the top on the far left at Frankly Basic, one of my favorite shops in Kansas City. 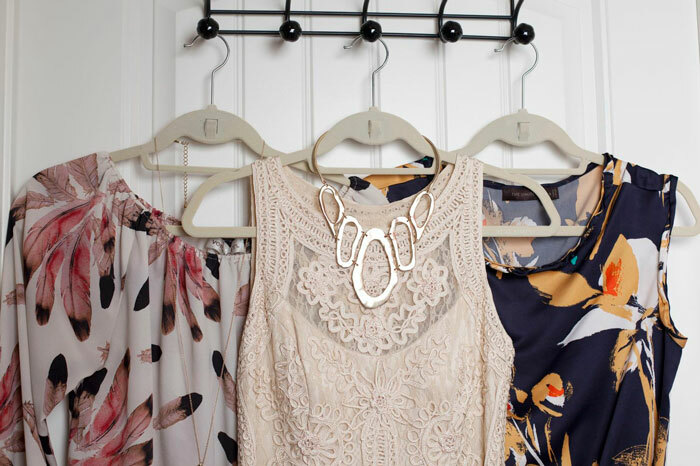 The Sue Wong dress in the middle is from Halls, our local upscale department store. The dress on the right is a work dress I picked up from The Limited. In addition to having a thing for shoes, I’m a total accessories addict. 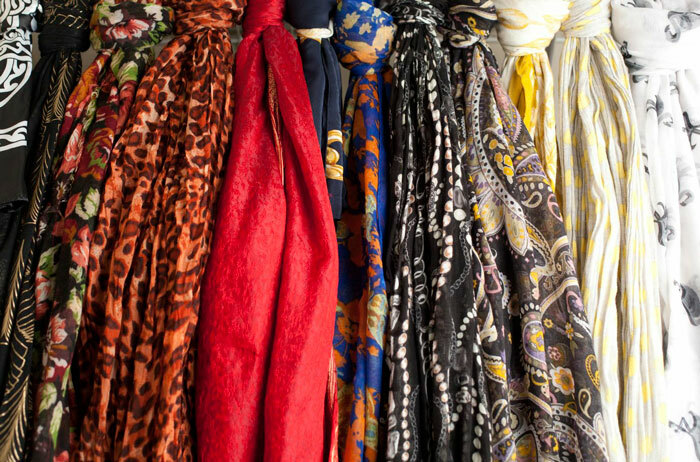 You can change up your look so much just by adding the right scarf or piece of jewelry. My favorite scarves above are the red silk one (brought back from India by a former coworker) and the navy silk one to the right of it (a Chanel scarf I scored at Act II Consignment in Kansas City). 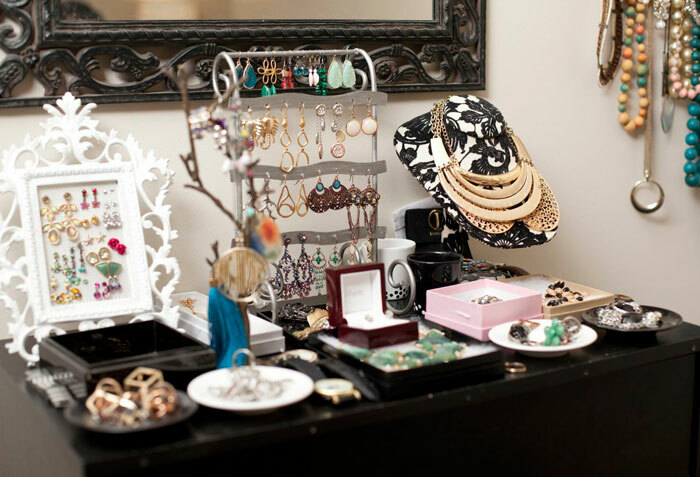 I’m a firm believer in displaying your jewelry collection. It’s easy to default to a few key pieces; if your jewelry is in front of you, you may be inspired to build a look around that item instead of making it an afterthought. Plus, it just looks pretty and feels like I’m shopping every morning as I’m getting ready! Aw, the beauty cabinet. 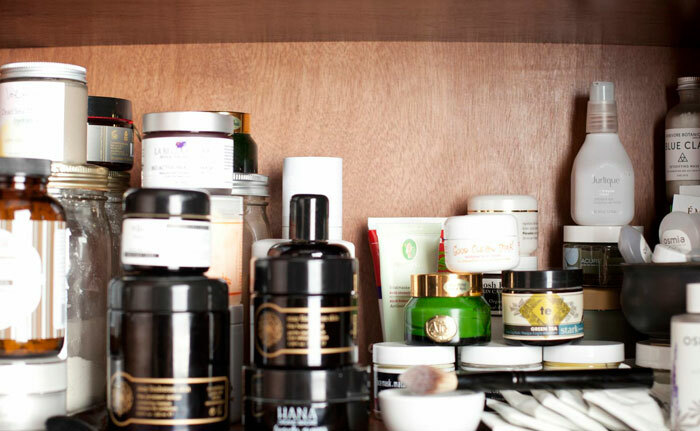 This is just one shelf — my beloved masks — and yes, I do use them all. Different skin conditions call for different masks. I mention my must-haves in the article. Head on over to 435 Magazine to read it! Scarf // Old, can’t remember!